It might not be what it’s best known for, but Mallorca is a paradise for cycling lovers, both amateur and professional. On the one hand, one of the best ways of exploring the island is to immerse yourself in its settings on two wheels. On the other hand, in Mallorca exist the best cycling hotel Mallorca , where lovers of this sport, whether amateur or professional, will find everything they need to bring their sports passion to life and get in shape. Our VIVA hotels are very focused on sports in general, particularly cycling. We’ve got everything needed to make sure bike lovers are in paradise on two wheels, without a motor. Our fantastic facilities, equipped with all the services to enable any cyclist to train at the highest level and everything necessary to reach 100% potential, including specialist massages, are attracting many elite athletes to our hotels. For example, TeamSky, led by Chris Froome, 2017 champions at both the Tour de France and the Vuelta a España, are regular guests and they come here to train. They don’t come here for nothing! Very modern CyclingStation where you can store your bike safely, including locks and CCTV. Hotel VIVA Sunrise offers the perfect combination of high-level sports preparation with relaxation and leisure. 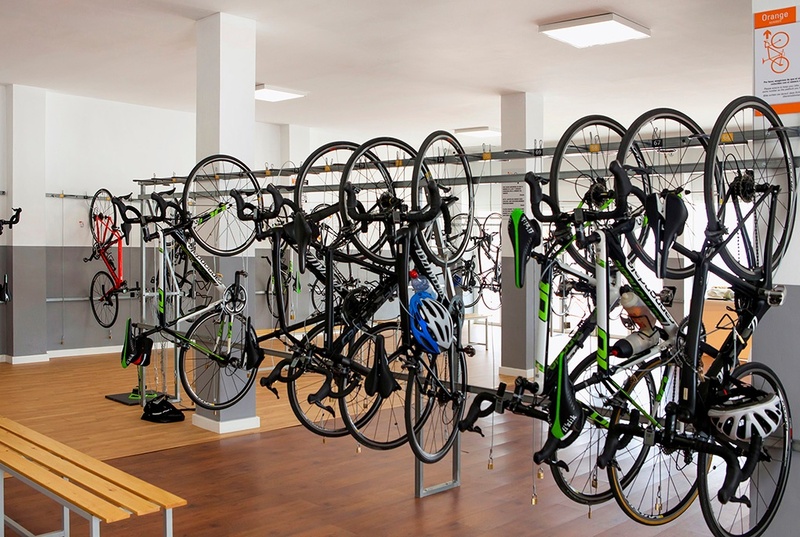 Its CyclingStation is also high-level, including an area where you can make sure your bike is in mint condition and can clean it with the best products in the market. It also offers bike hire. As in the previous hotel, Hotel Vanity Golf also offers the perfect balance between holiday and sports. The difference here is that while the latter is more family-friendly (including fantastic entertainment for kids), this is for adults only, with an extra dose of peace and calm. A CyclingStation launched in 2017, a cycling workshop, water and a picnic area for cyclists are just some of the facilities at this exceptional hotel. Hotel VIVA Eden Lago has a brand-new Cycling Station in addition to small bike repairs and healthy snacks for your cyclist routes around the island, including isotonic drinks and mineral water. As you can see, Mallorca isn’t just about sun and fantastic beaches and coves, it has much more to offer. The possibilities are endless and very varied.